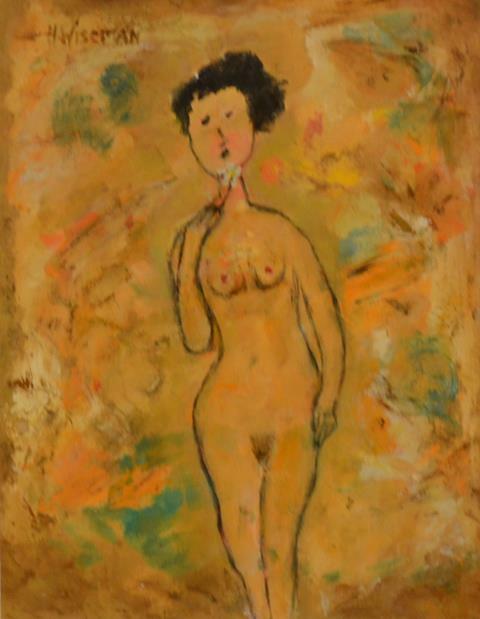 Nye & Company is pleased to offer works from the NAMITS Collection. Comprised of a broad selection of self-taught artists such as Jon Serl, Purvis Young, Harriet Wiseman, and Justin McCarthy. The sale will delight potential buyers with a fabulous group of sophisticated, yet wildly whimsical and visually stimulating of art. 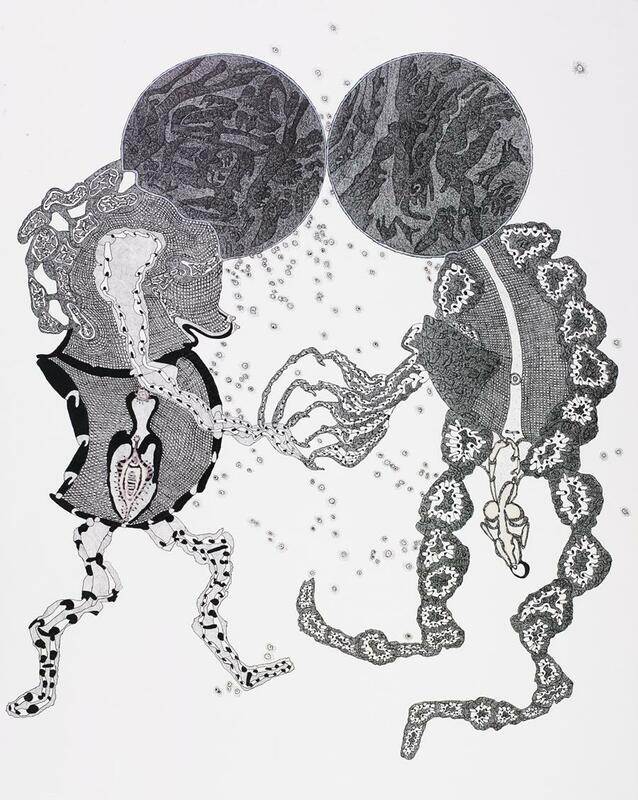 "Alfred Neumayr: Mythical Creatures" showcases work by Neumayr, primarily created with Indian inks or pencil – which the artist applies and scratches out, thins down or mixes. The resulting images resemble geographical formations, photos from outer space, fantasy worlds or mythical creatures. 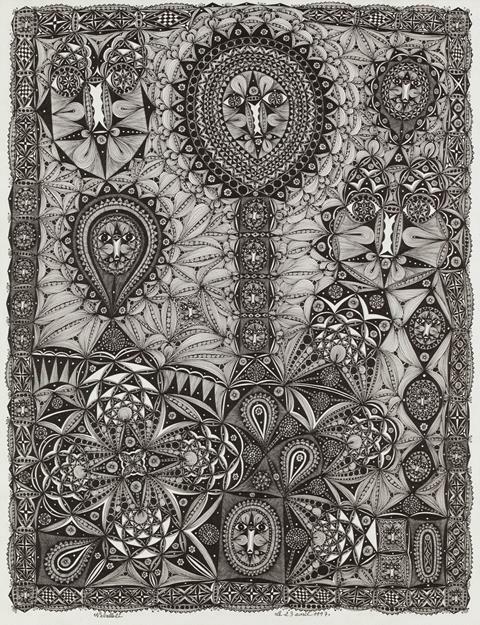 Composed using coloured pencil and graphite, Helen Rae creates dense, profoundly fractured drawings. 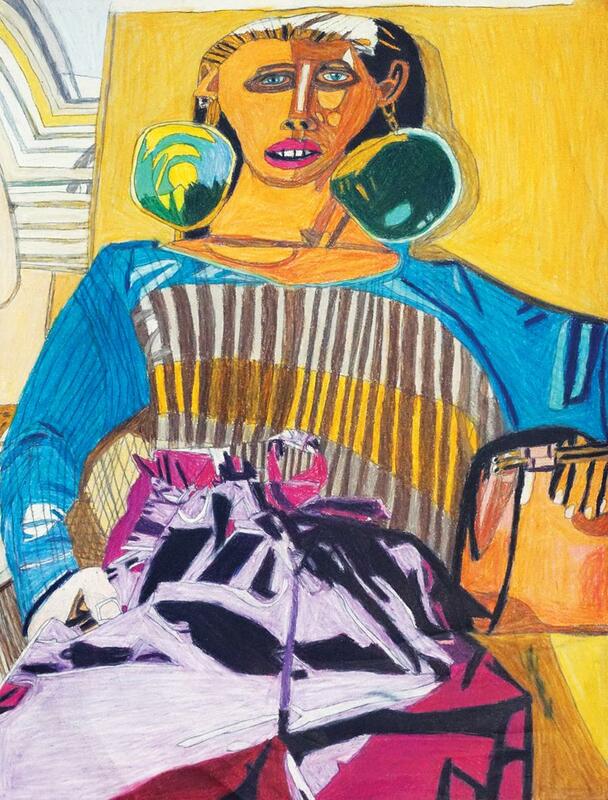 Working out of First Street Gallery – a progressive art studio for adults with developmental disabilities, now in Upland, California – for the last 30 years, Rae utilises fashion magazines as a point of departure. 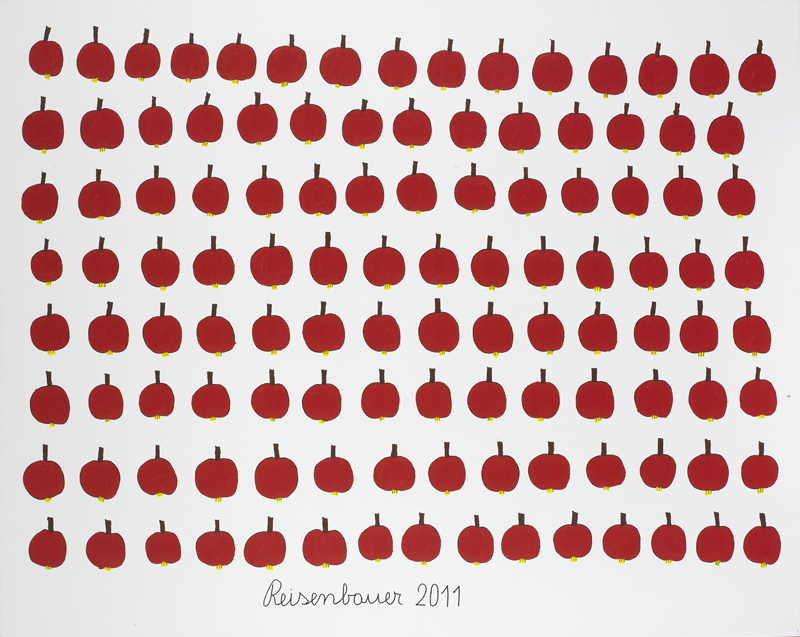 The Good Luck Gallery welcomes Rae back for her third solo exhibition. The Outsider Art Fair in New York marks the beginning of Gallery Gugging's art fairs in January this year. In cooperation with the Ricco/Maresca Gallery New York, the Gallery presents works by Gugging artists Heinrich Reisenbauer and Leopold Strobl. Visit Gallery Gugging at booth #10 at the Outsider Art Fair from January 17–20 in the Metropolitan Pavilion. "Sensations. Between Passion and Pain" includes work by Johann Garber, Willem van Genk, Marc Lamy and Lies Hutting. In her house in Goldach, Pya Hug created a world of wonders, with pictures, collages, objects, tapestries, and richly decorated wax sculptures. 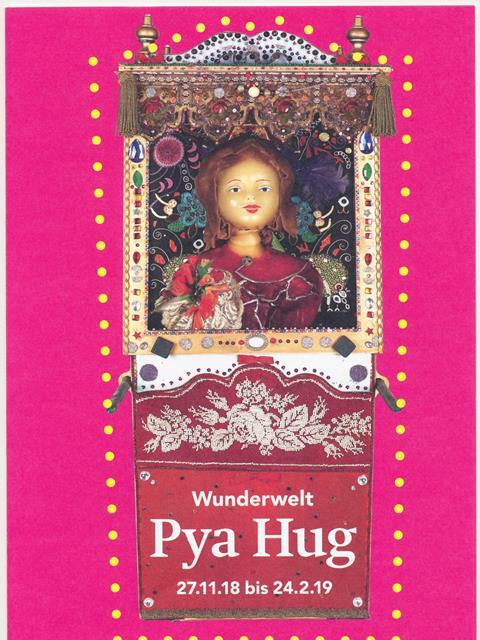 ­­­­"Wunderwelt Pya Hug" pays tribute to the late artist with a selection of works from the estate, which is now part of the museum’s collection. It is also an opportunity for enthusiasts to purchase artworks. 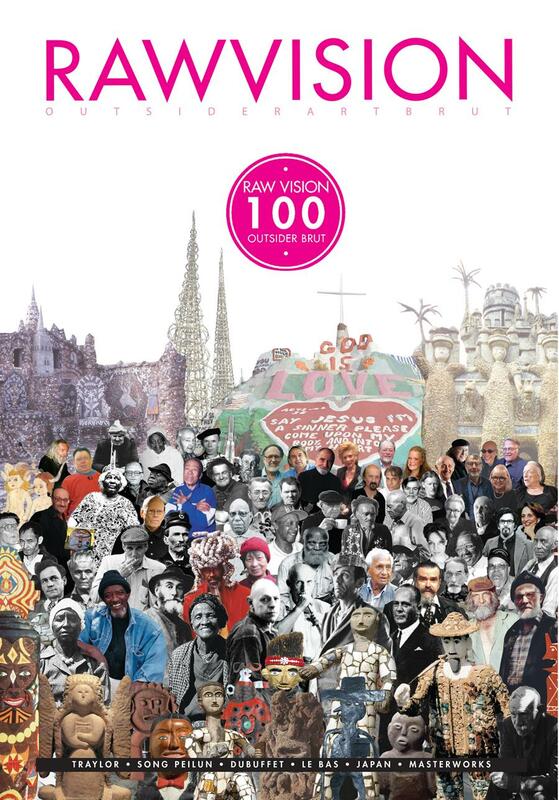 Raw Vision 100 Out Now! Our 100th issue is on its way to subscribers now! This special issue is available for sale this week at the Outsider Art Fair, NY. Don't Miss It – Subscribe Now! You're receiving this because you have shown an interest in Raw Vision. Please accept our apologies if you have received this email in error – you will be immediately removed from our mailing list by clicking Unsubscribe.